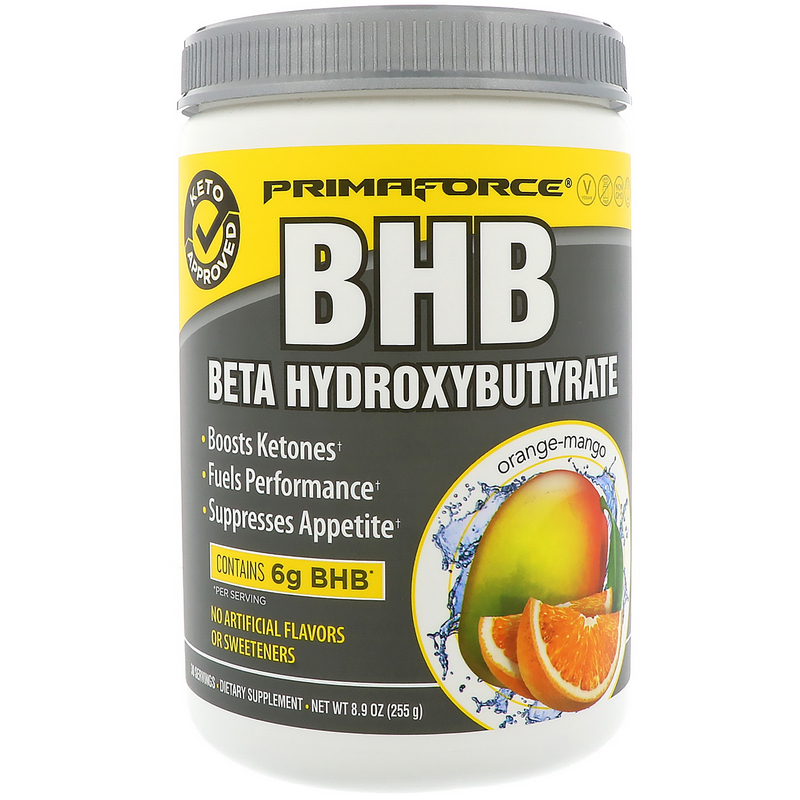 Fuel your body with PrimaForce BHB, a great tasting and convenient fuel source for those on a low-carb or ketogenic diet. Replace one meal a day with PrimaForce Keto Shake. 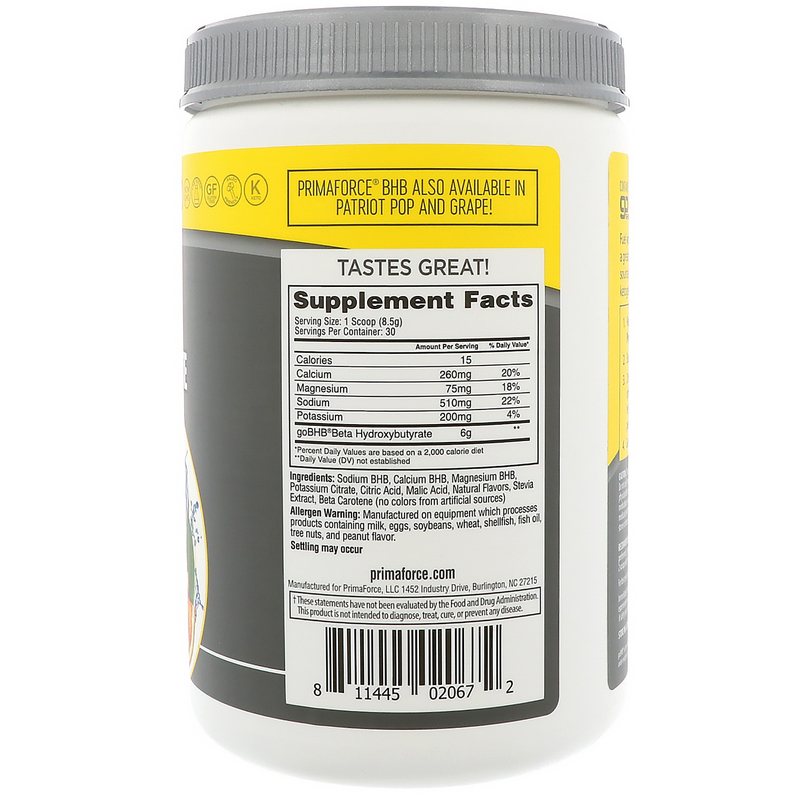 Drink PrimaForce BHB during afternoon energy "slumps", or to help fuel physical and mental performance. Mix 1 scoop per 8 - 12 oz. of water (adjust for taste preference). Use as needed throughout the day. For optimal results, consume 2 scoops with 16 - 24 oz. of water. Sodium BHB, calcium BHB, magnesium BHB, potassium citrate, citric acid, malic acid, natural flavors, stevia extract, beta carotene (no colors from artificial sources). 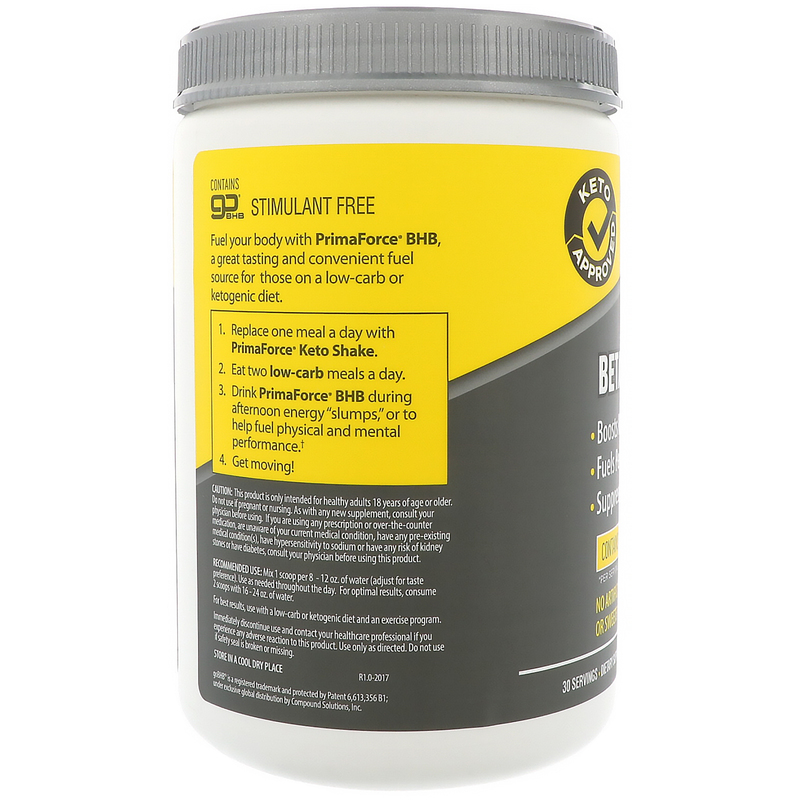 This product is only intended for healthy adults 18 years of age or older. Do not use if pregnant or nursing. As with any new supplement, consult your physician before using. If you are using any prescription or over-the-counter medication, are unaware of your current medical condition, have any pre-existing medical condition(s), have hypersensitivity to sodium or have any risk of kidney stone or have diabetes, consult your physician before using this product.